Kitchen renovations are often fraught with dust, displacement, and surprises. To avoid running into serious problems, make sure there is room both in your budget and in your timeline. If you’re planning a big reveal dinner to show off your new space, it might be better to wait until the renovation is complete before you send out the ‘save the date’ for this event. You are about to enter into a world of dust clouds and construction workers – you’re going to need back-up, especially if money is tight after paying the various contractors involved. If you have any favours to call in, now is the time. Ask friends and family if they wouldn’t mind dropping off meals or, better yet, having you over for dinner a couple of nights during the messiest parts of the renovation. To win them over on this idea, suggest bringing your own ingredients and cook the meal for them. It’ll be difficult to resist the offer of a free home-cooked meal they haven’t had to cook themselves. Your ability to cook is going to be severely limited to outdoor braais and microwave meals. Unless you like doing your dishes in your bathroom sink, it is better to outsource your meals if and when you can. Make a game of it and create a take-out and restaurant bucket list; it’s the perfect opportunity to force yourself to try those places you’ve never gotten around to trying. 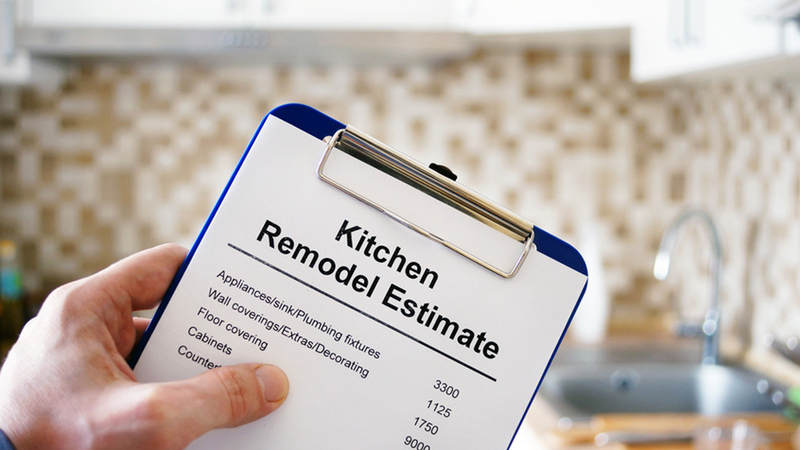 A kitchen renovation can be a messy affair. From chopping out tiles and sanding down cupboard doors, the course of the renovation can be difficult to live with. Sometimes it’s better to retreat rather than try and endure it. If you have the funds, consider spending some nights at a hotel or B&B. For a budget-friendly escape, pop up a tent and camp out in your backyard (admittedly, this option is more appealing if the renovation occurs during the warmer months of the year). If you have any favours leftover, phone a friend and see if they’d be willing to loan you their spare bedroom for a few nights. It is highly unlikely that you will be able to get out of the house for the entire duration of the renovation. In order to survive, find a room (possibly the garage, study or spare bedroom) removed from all of the dust and chaos of the project and create a temporary kitchen. To help you find your most commonly used kitchen items, store these items in transparent boxes. Ideally, you’re going to want to keep your fridge plugged in in the same room. Apart from this, a hot-plate, microwave and a supply of paper plates and plastic cutlery should be all you need to get through the duration of the project.